Home > Ordnance Documents and other related manuals > > Figure 155. Conversion Chart - Meters to feet. Figure 154. 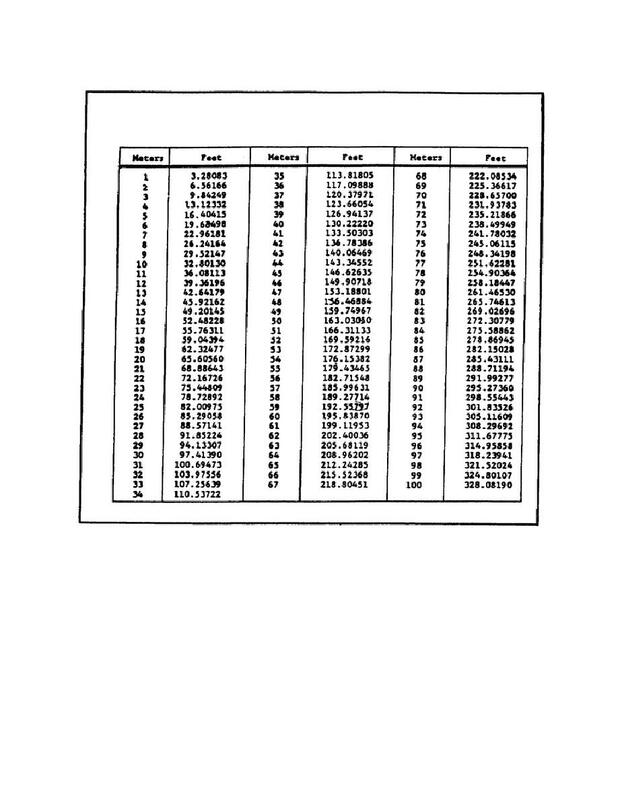 Conversion Chart - Feet to Meters. CONVERSION CHART - METERS TO FEET. (b) Classes 2A and 2B, Medium Fit. with minimum galling and seizure. (c) Classes 3A and 3B, Close Fit. following pages are the most commonly used in the United States. additional columns of tap drill sizes are included for quick reference.